When I first picked up the guitar at age 13, I knew that music was something I wanted to do for the rest of my life. With the help and support of my family, I was able to get an inside look at what a career in music really looked like. By the time I started my performance degree at Berklee College of Music, I had already toured with a band, participated in radio shows, worked live sound for bands and got to work in industry standard recording studios. Today, music has taken me to major cities like New York and L.A., and to some of the most remote areas of Europe. Through the Music Asylum, my goal is to create a support system and encourage other inspired musicians by providing them with the same opportunities that I had. Whether you want to rock out on stage with a band, record a big pop star or score the music to the next Star Wars film, the Music Asylum is the place to help you find your calling as a musician. We hope that our programs help you with your exploration in music, and give you insight into all the options available as a student looking to find his or her voice in the music industry. Jack began playing music at the age of 13. He received his BA in Guitar Performance from Berklee College of Music in 2003. While there, he studied with Tomo Fujita and David Fiuczynski. He has performed on stages across the United States and all over Europe. Jack was a leading member of the band, “Elephant House.” As a band, they worked with, Rich Robinson (Black Crows), Craig Ross, Lenny Kravitz, Adam Deitch, Erick Coomes (Lettuce), Sam Kininger (Lettuce, Soulive), Nikki Glaspie (Beyonce). As a session player, Jack has performed with Randy Cooke (Ringo, The Eurythmics, Smashmouth) and Will Farrell. Jack is also a contracted session player with Paul Allen and the Underthinkers. Jack has been teaching for over 20 years, focusing on instrumental lessons, and vocal coaching. Studies include improvisation, music theory, and recording techniques. Jack also mentors students in various music internships including music business and production. Charlee has been a professional musician for almost ten years now, and can be found performing in and around the Boston area. Trained classically in guitar from the age of 5, she studied with renowned guitarist, Anthony Weller. She studied vocal technique with Sloan Wainwright and Gabrielle Goodman (Chaka Khan, Roberta Flack). Now, Charlee writes much of her own music in folk/rock/blues styles. She has shared the stage with artists like Amy Speace. In 2012 she received her masters from the School for International Training in Peacebuilding and Conflict Transformation with a focus in youth leadership and empowerment. She mentors students both young and old. Each course of study is fit to her students’ needs and interests, mixing theory and technique with an appreciation and love of melody, harmony and rhythm. John Aruda studied at Berklee College of Music with George Garzone and Jerry Bergonzi. He has been performing and teaching for over 25 years. He has performed performed on stages all across the world with Jesse Dee, Alice Cooper, Joe Walsh, Derek Trucks, Susan Tedeschi, Toni Lynn Washington, and Tim Gearan among others. Aruda teaches saxophone (alto, tenor, baritone, soprano, clarinet and flute and focuses on jazz and blues improvisation, music theory, and woodwind techniques. 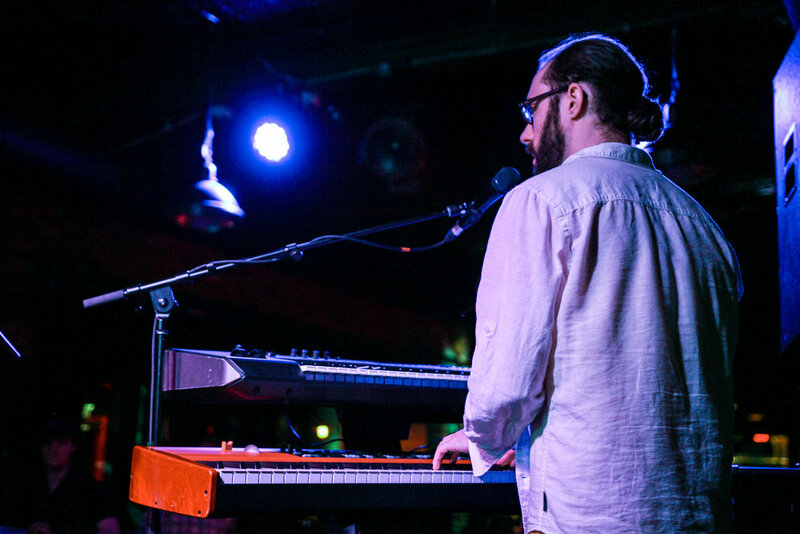 Chris "Doc" Enright is a New England native, and seasoned performer in the Boston music scene. He's shared the stage with local artists Mike Tucker, Ronnie Earl, Sonya Rae Taylor, John Aruda, Jeff Stought, Jamie Lynn Hart, Steve Memmolo and Louie Bello. Receiving both Bachelors and Masters degrees from Berklee College of Music and New England Conservatory, respectively, Chris' piano style developed under the tutorship of accomplished jazz musicians Danilo Perez, Joanne Brackeen, Alain Mallet, Frank Carlberg, and Hal Crook. Chris lives in Salem, Massachusetts with his fiancé and their three cats. His musical influences range from Ahmad Jamal, to Freddie King, to Radiohead. Lautaro is a guitarist, composer and improviser from Bogota, Columbia. 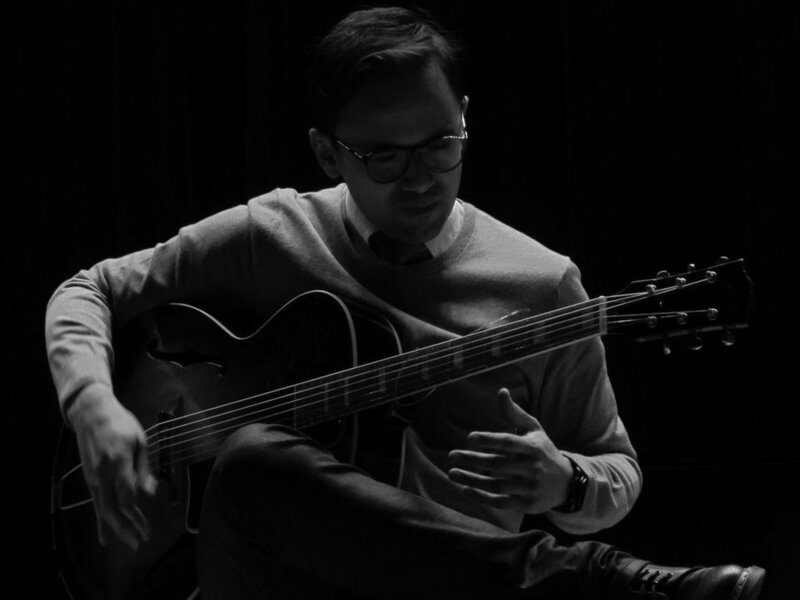 He has a Bachelor of Music in classical guitar from the Pontificia Universidad Javeriana (Colombia), a GD and a M.M with Academic Honors in Guitar and Contemporary Improvisation, and a Doctorate in Composition, all from the the New England Conservatory (NEC), where he studied with Eliot Fisk, Joe Morris, Anthony Coleman, and John Mallia. He has performed both his music and the music of others in major institutions and venues in the US and Columbia such as Harvard University, NYU, MIT, Institute of Contemporary Art (ICA -Boston), Teatro Colon, Teatro Jorge Eliecer Gaitan, Biblioteca Luis Angel Arango, among others. Lautaro is a faculty member of the Contemporary Improvisation Department and he is the department Chair of Contemporary Improvisation Preparatory School and Continuing Education, both at NEC. Yaeko grew up in Cambridge, Massachusetts and began violin lessons at the age of 3. She was classically trained at the New England Conservatory Preparatory School under Fudeko Takahashi. She received her BA in Music in 2002 from the New England Conservatory in contemporary improvisation. Since then, Yaeko has been a member of the esteemed Klezmer Conservatory Band and has performed throughout the country. She also played in the New York run of “Shlemiel the First,” under the direction of Zalmen Mlotek, and she has shared the stage and worked with Stevie Wonder, Itzhak Perlman, Don Byron and many more. Mike completed his education in bass at UMASS Lowell and Berklee College of Music. He studied under the illustrious Charlie Banacos, and attended Victor Wooten’s Bass Nature camp. Having been performing and recording for over twenty years, Mike is as versatile as he is accomplished. He specializes in both upright and electric (4, 5 and 6 string) bass with no limit to musical style, ranging from from jazz, hip-hop, funk, Americana, rock, bluegrass, R&B and more. Chuck Talley, Erica Van Pelt, Mike Tucker, Arudawakening, Chip Taylor, Nicole Nelson, Justin Piper, Nephrok All Stars, John Lockwood and Steve Memmolo are just a sample of the musicians he has worked with throughout his career. As a touring musician through the US and Europe, Mike has had the opportunity to open for the Derek Trucks Band, Bonnie Rait, Lyle Lovett, Soulive, Peter Rowan, and Headhunters. Nathaniel is a Boston based musician with over 20 years of performing and 7 years teaching experience with violin, fiddle and mandolin. He started out studying classical violin at the Winchester Music School and eventually went on to preforming traditional music abroad. In 2014 he received an Associates Degree for the study of Music from Bunker Hill Community College. Now with over 25+ students a week, Nathaniel spends most of his time teaching or playing shows with one of the many bands he preforms with.